Sen. Jeff Merkley (D-OR) has been one of Judge Neil Gorsuch’s strongest critics. He vowed to block him even before the confirmation hearings. He thinks this is a stolen seat because Senate Republican invoked the Biden rule to block Merrick Garland, Obama’s initial pick to fill the vacancy left by Justice Antonin Scalia. Merkley vowed to hold the floor all night to protest Gorsuch’s Supreme Court nomination because this is how the Left behaves in the Trump era: totally insane. It’s a last stand. The last tantrum he can throw before Senate Republicans hopefully nuke the filibuster rules to confirm Gorsuch by Friday. The Oregon senator also said that should Gorsuch be confirmed, the integrity of our legal system could be undermined for decades. The new rules have made it easier for the Democratic-controlled Senate to approve most of President Barack Obama’s nominees, since they need just a majority of the Senate to move forward, as opposed to the 60 votes previously required to clear a procedural hurdle. Now, however, Republicans have taken control of the Senate. If the GOP holds the upper chamber and retakes the White House in 2016, Democrats won’t have the 60-vote filibuster available to block controversial nominees. When he joined Senate Democrats to nuke the filibuster in 2013, he lamented how this procedural tool has been tainted by partisan politics. At the same time, he had no regrets supporting then-Senate Majority Leader Harry Reid’s charge to change the rules. “The filibuster, once used only on issues of personal principle, is now used regularly as an instrument of partisan politics. It hurts our ability to take on the big challenges we face as Americans. And we need to fix it. We must put an end to the secret, silent filibuster that is haunting the Senate,” he said at the time. Gorsuch has the support of various legal scholar and colleague across the political spectrum. Heck, even Obama’s former solicitor general endorsed his nomination. The American Bar Association gave Gorsuch their highest rating. The man has impeccable academic credentials. This is just payback. This is abuse of the filibuster by Democrats. This is still the endless rage that seethes through their pores over Hillary Clinton lacking the talent, will, and competitive zeal to win. Yes, Senate Democrats, caving to pressure from their liberal base, have the votes to block Gorsuch. Yet, the GOP seems ready to nuke the filibuster to confirm Gorsuch, which they should. Enough of these delays games. Get the man on the bench. 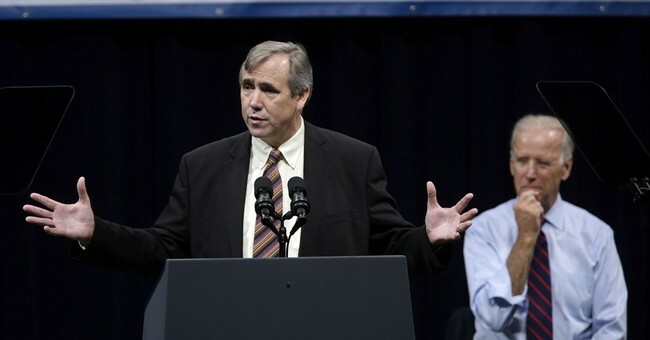 Mr. Merkley, I hope you enjoyed your time railing against one of the most qualified men to ever be nominated for the Court. You still lose.